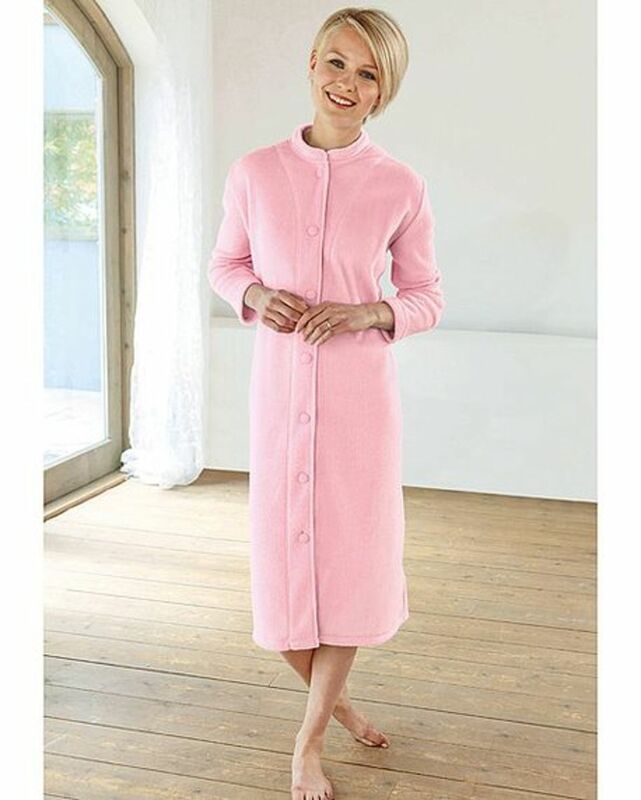 fleece ladies pink robe. Machine washable. Sizes S-XL. Very pleased with my purchase, lovely and cosy and warm. "Very pleased with my purchase, lovely and cosy and warm. "